The Paducah Parks & Recreation Department maintains 28 areas in the Paducah Parks system. 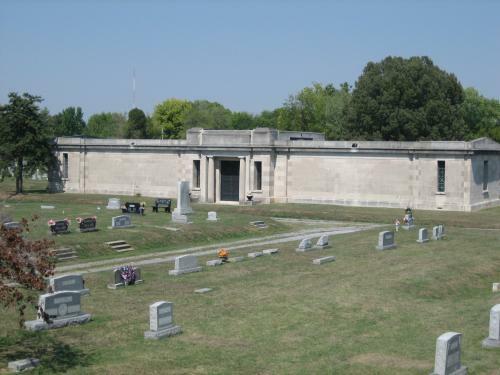 This land is located across the city and includes the most visible city parks like Noble and Schultz parks as well as smaller green areas like Caldwell park (14th and Park Ave), newer additions like Lanelle Park (4524 Buckner Lane) and the public cemetery (Oak Grove Cemetery). The Parks Maintenance division maintains the right-of-way surrounding bridges, viaducts, drainage ditches, and other areas on city land. The Park Maintenance division maintains city-owned land that is not a public park including Information Age Park, Industrial Park West, the police station, and city hall. If you have comments, concerns, or compliments regarding City of Paducah property, contact the Parks & Recreation Department at 444-8508. Find out what we're doing to keep our parks maintained by checking our Facebook page. Please contact if you have compliments, questions, or concerns about the parks and facilities. The Park Maintenance Division is comprised of 17 full time staff: 14 Laborers, 2 supervisors, and 1 superintendent. During the busy summer months, an additional part time and 10 temporary employees are employed. These staff help keep all the parks in the system mowed and policed for litter, equipment repaired, sports fields lined, and special events set up. 1. Mowing: Park Maintenance strives to mow approximately 447 acres of land regularly. In order to maintain the parks according to the level of use they get some areas are mowed often more than others. Baseball/softball fields, playgrounds and other high use areas are mowed weekly and sometimes biweekly. Natural Areas, right of ways and vacant lots the City owns may be mowed less regularly. In the fall and winter mowing shifts to leaf mulching and removal. 2. Maintenance: Park Maintenance performs the minor repairs in the parks. Park Maintenance replaces basketball, tennis and soccer nets, repairs picnic tables and replaces damaged playground equipment. The Park Maintenance Division also is responsible for maintaining all the small engine equipment used to maintain the parks. Parks staff repairs mowers, string trimmers, blowers and other items. 4. Sports Facilities: Park Maintenance is responsible for preparing and maintaining 11 baseball/softball fields, 6 soccer fields, 1 par-3, 9-hole golf course, 7 horseshoe pits and 5 basketball courts, 6 tennis courts, 1 sand volleyball court, 1 18-hole disc golf course and 1 skate park.